Though I’m not unfamiliar with Florist the Beatmaker’s mellow 90s production vibes, I have to say that he’s found the perfect foil here in Glasgow rapper Nekswan. Though his lyrics sometimes lack the refinement that these beats demand (‘Blacc Pearl’ in particular is full of vague references to getting mellow and the like), I still found myself hitting the replay button for several reasons. 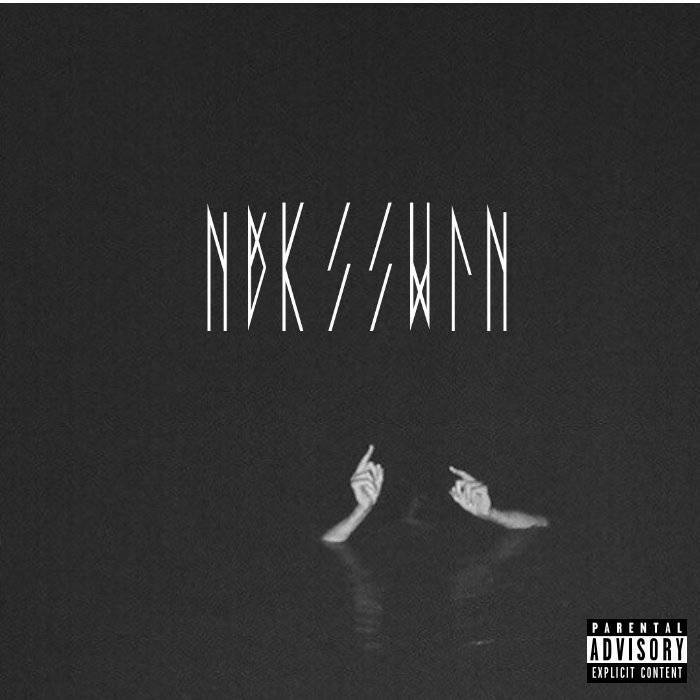 Nekswan’s boasts a casual confidence that emanates through every facet of his rapping style. He flows well, has a welcome knack for switching up his syllabic patterns, and his use of abstract imagery suggests that certainly knows his terrain. I do think his vocals get too buried in the mix sometimes, but I can’t knock him for attempting a style that very few Scottish emcees actually pull off well. This is possibly the most enjoyable Scottish EP I’ve heard this year. 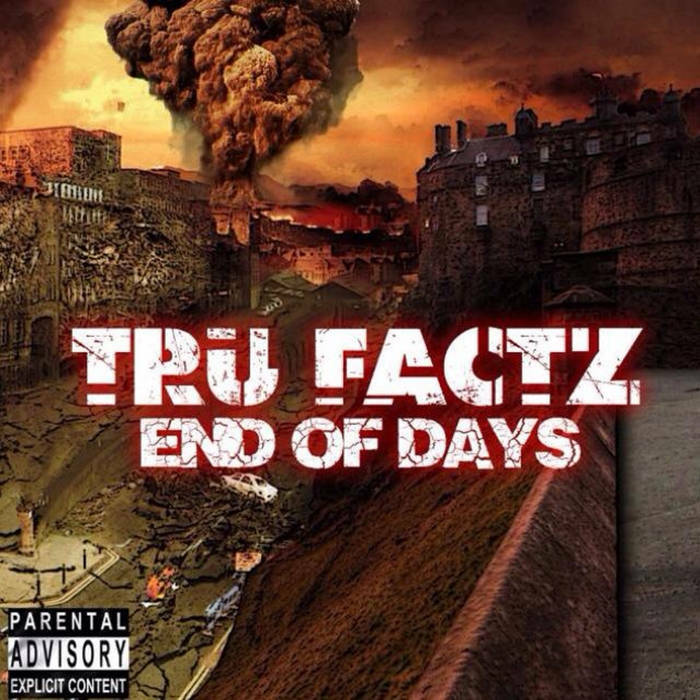 Based on the title, the artwork, the samples, the lyrics, the attitude and his overall image, I’m going to take a stab in the dark and guess that Tru Factz may have been a tad influenced by Vinnie Paz here. Indeed, there are plenty of mentions of a ‘new world order’ and ‘government corruption’ on this record, even if these references are rarely expanded upon or fully explained. But hey, Tru Factz has taken the plunge and fully embraced his inner David Icke, and so it’s probably fair that the listener puts aside personal prejudices and accepts that any explicit allusions to the apocalypse (or lizards) come with the territory. As heavy handed as the concept is though, the Edinburgh emcee has undeniably improved since his last project. It wouldn’t actually be farfetched to suggest that he could pull off a more revealing struggle-based album, something he occasionally nods to (if that’s not too subtle a word). 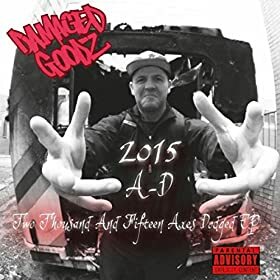 Damaged Goodz literally started rapping before either myself or the itnernet existed, so it seems only fair that he’s getting the appropriate coverage for this latest EP having recently featured on STV Glasgow and the Daily Record’s music page. Speaking of the old school, the title track kicks things off with a beat that sounds like it’s straight off an old kung fu B-movie (i.e. a classic Wu-Tang beat). Considering the serious and nostalgic topics Goodz raps about, especially regarding his upbringing in Castlemilk, there’s a definite sense of playfulness to this EP that I can assume derives from the fact that he’s still incredibly passionate about what he does. In fact, as he informed SSU on his recent interview, there will be yet another EP (the third this year) coming out in the next few months, suggesting that this new found momentum won’t be slowing down. If you’re not too familiar with Jetsam, that’s because you’ll know him as Konchis most of the time. The Glasgow producer has released a couple of releases under the alias, experimenting with different textures and production styles. His latest album ‘Yugen’ is undoubtedly a mixed bag of ingredients: there’s a heavy bass influence at points (‘Ephemeral’), some more chilled out garage vibes (‘Cathedrals’), and even some trap flavoured drum sounds which, when combined with more ambient synth templates, resemble Araab Muzik or Friendzone (‘Crystal Oblivion’). The combination of these elements ultimately makes for a few disjointed tracks, especially at points where the focal melody seems to just be wandering around for the sake of it. Then again, I don’t doubt that Konchis rightfully sees this as an opportunity to meddle with dissonance and syncopation in a way that he doesn’t usually. Once reading that, you can’t not get the humour in what these guys are trying to do. 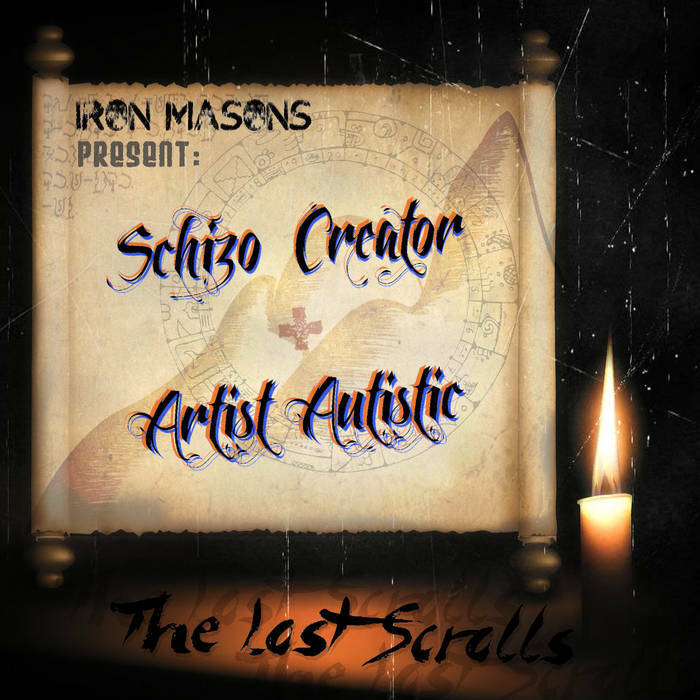 ‘The Lost Scrolls’ features incredibly fun verses from the duo over samples of themes from He-Man, Knight Rider and Ghostbusters to name but a few (“who you gonna call? IRON MASONS”). Fair play guys, fair play. If you’ve not checked out Conscious Route yet, there’s a couple of videos on this very site that demonstrate his rapping ability. Previous material I’ve heard from him has tended to fit neatly in the domain of early 00’s styled UK hip hop (London specifically), but ‘Frequency’ is a different beast. 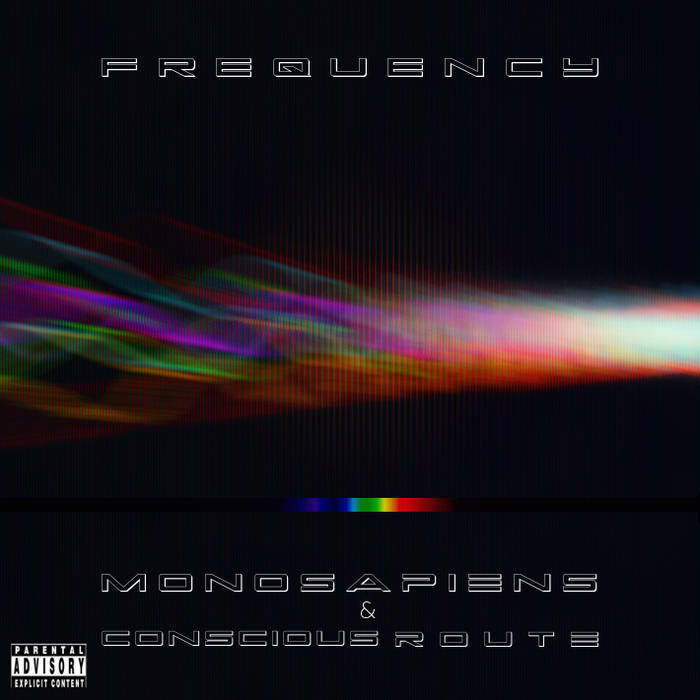 Though they meddle with a variety of different sounds, be it keyboards, samples or whatever, Monosapiens have a very DIY feel to their work that fits Conscious Route’s style quite well. The best tracks here emerge from the English veteran’s more image-based lyrics interlocking with psychedelic grooves (‘Aerial Perspective’ is a particular highlight).